Toggle your Wi-Fi off and on by taping Settings > Wi-Fi. Temporarily disable wireless security on the Wi-Fi router. If your Wi-Fi performance increases, you may be having encryption issues. See this article to resolve this problem. With each update the ipad mini 2 I have gets more and more annoying. Lately it’s been the wi-fi signal dropping which causes my amazon video app to crash. The only reason I keep this thing is because my android tablet doesn’t allow for watching amazon video while playing an app at the same time. Soon as that feature is added, I might offload this ipad as either a $50 buyback to Gazelle or just donate it to charity. The Android app market is way too strong today for me to stick with Apple. I lost my ipod touch a few months ago and for Christmas I replaced it with an off market brand new music player from Amazon that plays videos and music in multiple formats and has expandable sd memory. I was never a full on iZombie to begin with because the products are so overpriced, and both iPads I’ve owned were bought refurbished. The first iPod touch I owned was gifted to me and the second I bought brand new, but this is the end of the road for me. All Apple wants is to be a designer name in the tech world — all form, no function. At least with Android there are various price points and I’ve honestly never had a connection with any of my Android devices. Seriously, the wi-fi homing signal could be weak af but my android will still latch on and perform like a speed demon. The total disregard to users complaining about WiFi issues since iOS 4.1.2 by Apple is appalling. How is reset network settings, manually set DNS or reset router a solution over the years. An IPhone user will have no WiFi while an Android user will be busy surfing. Apple at least give people their money’s worth for the small fortune you make users pay for them. A piece of junk. Bought it for my daughter and seems TCP/IP stack is broken or apple writes its own code that for some reason does not stay connected or wants to check the entire route every time beforehand and apps keep waiting in the background. YouTube got stuck while watching and just kept waiting. I have a 20 Mbps fiber connection but it’s generally slow … but still over 1 Mbps at its worst …. so no real reason for YouTube to just stop and not even buffer on a slow connection from time to time at least … irritated to d core coz I feel any app dies then there’s just no hope of return to life. Candy crush also hardly ever shows connected so have to play in offline mode mostly. I’m not upgrading to another Apple device now. The iPad mini is so slow and the wifi problem is infuriating. It reminds me of using a Windows 95 pc back in the late 90s on a 28k dial up connection. I’ve been experiencing the same iPad Mini problems with wireless and performance in general. Try turning off Siri and Spotlight search for every application. The mini is running much better now. Hi. I just bought an iPad mini (1st) and in a first instance the wifi was awfully slooooooow. I read this article but I was looking for solutions… In the automatic configuration I see that the DNS is wrong. I updated manually to the same I use in my iMac and then the iPad wifi was fixed. I get gift iPad mini from my brother & very happy. I was dreaming for Apple product. But after using this iPad mini my attitude for Apple loose. I don’t believe apple product. Very slow wifi. Very worse device. Better Chinese brand than Apple. Expensive product cheap quality. Hateful. A piece of crap that is called a mobile internet device! In comparison to a lenovo where both devices sit on the same table iPad mini loses connectivity most of the time and internet connection is dropped where the lenovo phablet doesn’t lose connectivity at all. I started believing that it is a hardware problem and has nothing to do with iOS updates or versions. I bought 5 devices 3g enabled to accommodate the family and I have regretted every penny I paid to apple. Never again to buy anything connected to apple and I will go for the most cheapest crappy android devices and I am sure they will have a better connectivity than an iPad mini. Luckily 3 out of the 5 devices got destroyed by the kids do I don’t have to bother on their connectivity any more. For the past four months or so, my iPad mini wifi has also been appalling. I have tried numerous tips such as rebooting my iPad mini to changing the DNS server to much better ones, such as 208.67.222.222, and 8.8.8.8. The DNS method does work… for about 3 hours. For the first 3 hours, I have ultra fast pocket wifi and youtube videos load literally instantly. But after the short time period, my wifi goes back to the same old sluggish thing it is. I know it’s not my wifi that is bad because my sister’s iPod touch 5th gen is really speedy, but I’m stuck with the bad connection that I’ve got. And even though this problem has been here since iOS 6, Apple STILL haven’t sorted this out. If Apple don’t fix this in the next 6 months then I am going to send an official complaint directly to them and switch to Android! WHY CAN’T YOU FIX THIS APPLE? YOU HAVE THE MONEY TO DO IT! Ipad mini = utter wifi POS. sad. I have an iPad min and galaxy tab 2 . Tab 2 is the worst with wifi, but iPad mini not that great either. I bought the ipad mini to travel with. I’m with other people who have no reception problems on laptops, phones, other tablets. I’m disgusted that I spent over $600 and can’t get decent wi-fi reception. Why hasn’t Apple fixed this? I intend to return it when I get back to the US, but I now have 5 weeks of travel ahead with a bad device. Is there a Facebook page for ipad wi-fi complaints? If not, someone PLEASE initiate one. 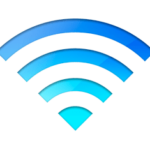 Maybe this issue is your WLAN signal be weaken between your phone or NB, you can try to replace your WLAN or to paste “Perfecting Signals” on your WLAN Box for improve its quality of the WLAN signal. Same problem with my new Ipad Mini, other devices work perfect, it is sad to know about it after investing money in the Ipad Mini. I just bought an ipdad Mini at Dublin Airport on my way to 10 days work in the middle east. I have appallingly bad wifi reception on it. I also have and Ipad2 with me and a Samsung Galaxy Tab 2 7″, both of these have great wifi reception, whereas, the mini is pathetic. I will be asking Apple for my money back when I return home in 10 days time. What an overpriced con this piece of equipment is. If it were a car, it would long since have been recalled!! I am also having the wi-fi connection problem and using the latest update have the same problem. Frequently lose wifi connection and am asked to reconnect. I tried all the hints, such as resetting wifi but nothing seems to help. I wish I could trade this for a full size IPad, but I’m sure they would not give me full value. I’ve had since Christmas. I had the same problem. I didn’t notice it until I started using the ipad mini out of home. Also I bought a retina one to test it and did many tests from different places, in all tests the ipad mini was below the retina one(speed and consistency), sometimes the difference was huge, like 1MB against 10MB speed. I did reset the network settings and still the same. I returned the mini and bought a second mini to see if there was a problem with the unit, but the second one has the same issue. So I returned all of them in the end. I really wanted the mini because it’s very portable but I’m afraid I will have to wait for an update. It should be fine if you plan to use it at home or small places where the router is near, otherwise it could be frustrating. All models were bought recently(Feb-Mar 2013) and I updated the system on all of them. I also have a mini iPad which is not fit for purpose, totally useless and a waste of money, I changed the mini iPad at the apple shop and this has made no difference. Software is 6.1.2 and it is that slow we just don’t use it now. There is definitely a wifi problem affecting mini iPads and apple need to come up with a quick fix. This is not good. Why should we need to do anything at all? It should work out of the box perfectly, or OS updates should fix it. If I need to reset network settings only after having it for 2 weeks then I equate that to mean I will need to do this every two weeks from here on? That’s not good. I’m taking mine back if this problem persists. This device is useless without fast WiFi, I’m not playing games on it (I would have bought PSP), I’m using it to connect to the internet. It should be noted that resetting your network setting will remove every remembered wifi network and password from your device. For most people, that’s not a big deal. For those of us who are excessively mobile, it can be a significant drawback. The suggestion to focus on resetting the router or acces point doesn’t really solve the problem because I can’t do that when I’m at airports, on public transportation or in shops with WiFi access, or visiting family. I am a mobile user and connectivity should work as well as my laptop. I bought mine just before a Thanksgiving trip to 3 European countries, and in I found that my Mini couldn’t connect as well as other Apple products — my husband would be right next to me using a MacBook Air, and he would be flying on the Internet (pun intended). Interestingly, most of the time Internet access did work on the mini, but it was puzzling that at random times or locations, it wouldn’t. Sometimes I would get one or two bars (but still no connection). Other times, I would get nothing (even if I toggled the WiFi or Airport mode or switched the mini off, or if I walked around trying to find a better signal). Sometimes I would return to the same location (e.g., a family member’s home) where it worked one day, then didn’t work later that day, then it worked again the following day. Once connected, downloading speed appeared to work fine. The challenge was to know when and where it would connect consistently. I’ve tried all of those ‘tips’ however none work. The ipad mini has an appalling wifi connectivity. For a start it often struggles to connect beyond 6Mbps when other devices connect to the same network at 56+Mbps. The ipad mini will loose the wifi signal randomly as if the wifi circuitry has been turned off and then struggles to find the signal again. (All devices have a static IP.) Even in the same room with the router and other wifi devices, IT is the only device that struggles to get a signal. (I’m on a seperate channel with little to no interference from other wifi signals.) Even the update to iOS 6.0.1 that supposedly fixed wifi issues has made no difference whatsoever. I really like my ipad mini but the poor wifi is driving me up the wall. I agree! Every other device I own (including an Ipod touch 4) connnects without a problem, but my IPad mini loses its connection to wifi constantly and often has very slow response. I received it as a Christmas gift and am afraid it is too late to return it or get a replacement. It is more than annoying. Reset Network Settings took my speed from 6 to 22 Mbps.